This week we’re proud to launch our latest innovation delivering small craft safety, security and compliance. An initiative between ORBCOMM, Pole Star and Weatherdock, Hali is a tri-mode Class B AIS transponder that delivers reliable vessel locations to ensure full vessel visibility. Hali is unique in that it has tri-modal vessel position data delivery mechanisms. Hali will report to local terrestrial AIS stations and nearby vessels to bring real time information for real time situations (collision avoidance, search and rescue). 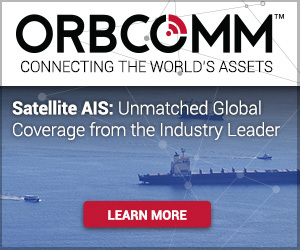 Hali will also deliver vessel information through ORBCOMM’s industry leading satellite AIS constellation for global maritime domain awareness outside terrestrial AIS coverage. Hali will also augment these AIS transmissions with position reporting through ORBCOMM’s entire satellite M2M network. The Hali solution includes powerful, tamper-proof AIS Class B hardware that delivers data to maritime customers in an easy-to-use, secure, web-based platform. The inclusion of ORBCOMM’s two-way proprietary data satellite network as an additional communications channel delivers reliable vessel locations anywhere in the world. Satellite AIS is an extremely powerful tool to deliver maritime domain awareness, however it has been known to be impacted due to congestion in busy ports, as well as from the lower power levels of AIS Class B devices. Positional data from AIS Class B only enabled devices are delivered, but inconsistently or only occasionally. Being able to determine the status of your fleet, of a fishery, or of an environmentally sensitive area is severely compromised – this additional ORBCOMM proprietary channel offers a much improved and dependable picture. Who is Hali designed for? 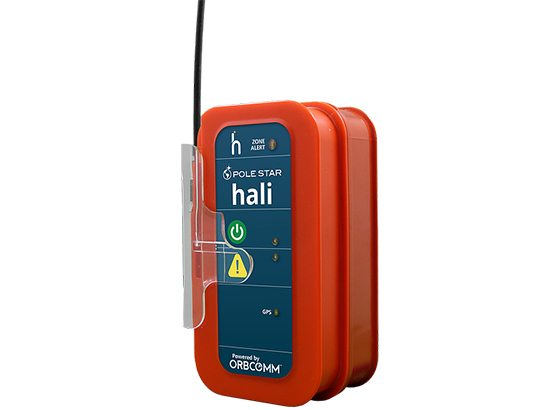 Hali offers SOS functionality, and can send a distress message upon the Alert mode activation. For safety and enforcement agencies, Hali delivers a system that brings SOLAS safety to non-SOLAS vessels, enhancing maritime domain awareness and improving search and rescue operations. It can also serve to augment visibility of friendly vessels, and therefore reduce the number of potential non-cooperative targets for investigation. For fisheries protection agencies, this device complies with common AIS reporting requirements. It also has geofencing capabilities to facilitate regulatory compliance within exclusion zones. A true maritime industry game changer, Hali is a powerful tri-modal device designed with regulatory/enforcement bodies and small craft operators in mind. Protection and accountability are no longer luxuries. To learn more, visit www.hali-track.com or see Hali in action by visiting us at the CABSEC Maritime Security Conference in Panama this week.